There’s a sly urgency in Jack DeJohnette’s backbeat, which combines a strong forward pull with something cagey and equivocal. That rhythmic signature is crucial to the feel of some Miles Davis albums from the early 1970s and a range of other music since. 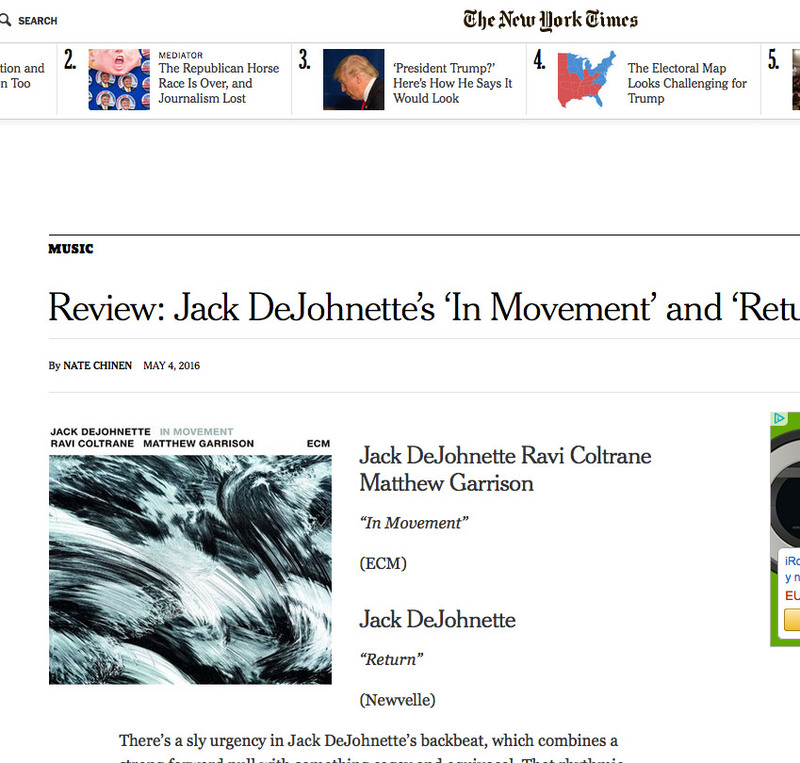 The latest example is “In Movement,” the debut ECM release by an exploratory trio with Mr. DeJohnette on drums and piano, Ravi Coltrane on saxophones and Matthew Garrison on electronics and bass guitar. Continue reading here.